Fruit Of The Loom Brand Polo Shirt Complete With Embroidered School Logo. 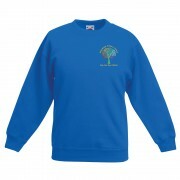 Made from 65% Polyester..
Fruit Of The Loom Brand Sweatshirt Complete With Embroidered School Logo. 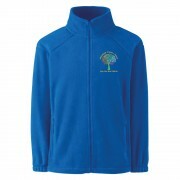 Single jersey back neck..
Fruit Of The Loom Brand Fleece Jacket Complete With Embroidered School Logo. 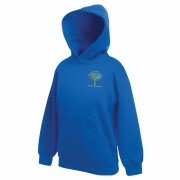 Waist with elas..
Fruit Of The Loom Brand Hoody Complete With Embroidered School Logo. 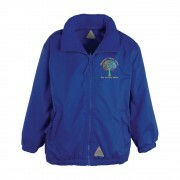 Single jersey back neck tape..
Blue Max Reversible Coat With Embroidered School Logo. 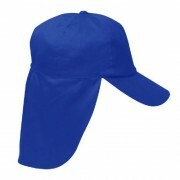 With a 100% Polyester polar fleece inner a.. This item does not have the school logo on. 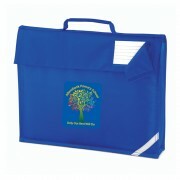 Double front panel Self coloured Velcro fastening ..
Polyester Book Bag complete with printed school logo. 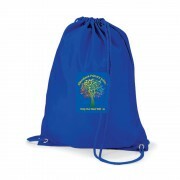 ..
Nylon Drawstring Bag Complete With School Logo Printed. ..